ICP Logística, uno de los mayores operadores logísticos a nivel nacional e internacional, busca un perfil de Administrativo/a de Recursos Humanos. A continuación, puedes consultar las condiciones de la oferta. Puesto de trabajo: Administrativo/a de RRHH. Horario: de lunes a viernes de 08:00 a 17:00h. Localización: Calle Marte, 40 Meco – 28880 Madrid. Contrato temporal y posterior a indefinido. Se ofrece estabilidad laboral y formación continua a cargo de la empresa en un ambiente de trabajo joven y motivador. CFGS en Administración y Finanzas, Grado en RRLL y RRHH, ADE o similar. Experiencia mínima de 1 año en ETT’s, asesoría o en departamentos de Recursos Humanos. Se requiere una persona muy organizada y versátil. Residencia en el Corredor de Henares o Guadalajara. Disponibilidad de vehículo propio para el acceso a las instalaciones. Gestión de altas, bajas y variaciones en la Seguridad Social. Gestión de contratos, nóminas y Seguros Sociales. Trato directo y coordinación con otros departamentos. ¿Quieres aplicar a la oferta? Para acceder a esta vacante envía tu currículum a la dirección de correo electrónico seleccion@icp.es poniendo en el asunto el nombre de la oferta. ¡Suerte! Puesto de trabajo: Secretario/a – Administrativo/a. Fecha de inicio – finalización: se establecen 15 días de periodo de prueba. En caso de superarlo, el contrato será indefinido. Localización: Paseo de la Castellana, 236 (Cerca de Plaza de Castilla) – 28046 Madrid. Se requiere residir en Madrid Capital durante dos años. Manejo del paquete office (Word y Excel sobretodo) – Se realizará prueba de nivel. Recepción y emisión de llamadas. Redacción y organización del correo. ¿Te gustaría apuntarte a la oferta? 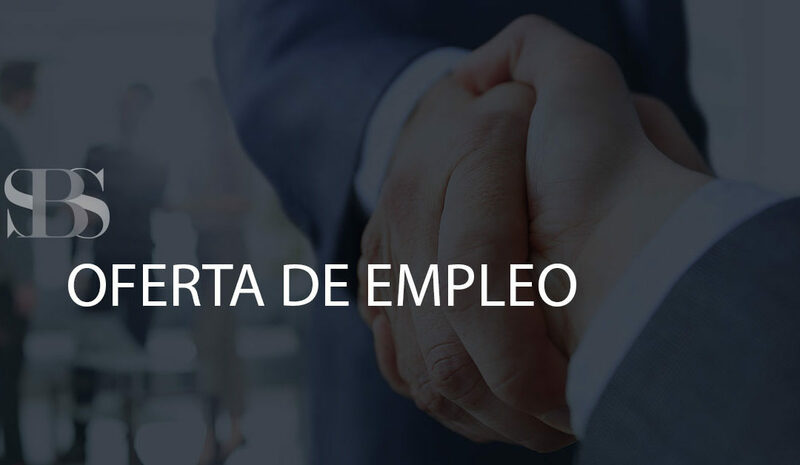 Si quieres acceder a este puesto de gestión administrativa envía tu CV a la siguiente dirección de correo electrónico vlopez@grupocoeco.com No olvides poner en el asunto el nombre de la oferta que te interesa. ¡Suerte! N26 The Mobile Bank ofrece interesante empleo como Compliance del sector bancario. Experiencia requerida: Dos años en Compliance en el sector bancario en España. Gestión completa de las obligaciones de Compliance de N26 en España, en especial las obligaciones de Prevención de Blanqueo de Capitales y Financiación del Terrorismo. Nos contactan desde The Worldfolio, portal internacional de noticias y además una plataforma para numerosas agencias de medio digital y impreso alrededor del mundo. Están buscando a uno de nuestros alumnos para trabajar como International Sales Representative. The Worldfolio, a globally renowned content provider, commenced its operations as a result of numerous strategic alliances with an international network of world-class press agencies. The Worldfolio has grown to become one of the most popular current affairs references in the world, alternative to major information sources consulted by leading international corporations and multilateral organisations. As media evolved, so did consumption patterns and hence the communication needs of our clients. In response, The Worldfolio successfully evolved into a global communications agency with expertise across the full range of multimedia platforms. At the core of our organization, we specialize in the creation of top quality content through investigative and insightful reporting. Once focused on only the distribution of our contents in the most prestigious print titles such as Times, New York Times, Daily Telegraph, Newsweek, The Washington Post, The Times of London among many others, we later began complementing our publications with events and conferences, and today The Worldfolio covers the entire spectrum of media and communications including broadcast, digital and social media. Our team is composed of investigative reporters, writers, editors, strategists, media planners, graphic designers, digital experts and producers with extensive international experience. The Worldfolio fills a major gap in global economic appraisals as it provides market intelligence on the highest growth potential economies and focuses on understanding them from within as they play an increasingly important role in the world today, contributing to leading positive change across territories. Markets undergoing rapid economic change are revising their approach to the global economy, particularly as nations gain influence, integrate with international markets and invite foreigners to help build their economic infrastructure, for which understanding the viewpoints of the “new world order leaders” is key not only to being well-informed, but to doing business in a globalized world. The Worldfolio monitors the current state of the world calling upon a global network of in-country experts present in more than 50 countries each year, conducting an average of 3,000 one-on-one interviews annually with government officials, industry captains, economists and experts, averaging eight interviews a day with the most influential leaders in the world´s fastest-growing economies. We offer to you the great opportunity to develop an international media sales career that involves working and travelling around the world. You will have the chance to meet and negotiate advertising sales with Presidents, Heads of State and Government Ministers, as well as the CEOs and Managing Directors of the most successful companies of the countries we are working with. The Worldfolio offers you a comprehensive initial training and it will provide you with the necessary tools in order to develop yourself, both personally and professionally, giving you the opportunity to build a solid and sound career in international media sales. Furthermore, The Worldfolio employees are given the opportunity to progress and develop quickly and effectively the career path within our organisation. Once selected during training, you will travel to your first project where you will be efficiently trained by one of our teams in order to get promoted asap. Apply now to join our teams! Heads of state, the most influent CEOs, government ministers and financial experts have the opportunity to tell the world’s decision-makers what is happening in their country today, thanks to our special business reports and articles. A project with The Worldfolio can take three weeks or up to six months to develop and finalize. During this period of time, you will have built up an impressive contacts list and you will have the chance to sell and promote important advertising space to some of the most influential people in the country, in which you are working. You will stay in top accommodation with all the facilities needed to work effectively and keep in touch with our head office. Full training will be provided by the Project Director. Our Marketing, Project Development and Commercial Department will ensure you receive all the help, management and support you need before you arrive and whilst in the country for you to be as successful as possible and produce the best projects. You will acquire specialist local knowledge and have fascinating life experiences that would never appear on a regular travel itinerary. And of course, you can expect excellent financial conditions and fast promotion within our teams. Travel for up to eleven months of the year, meeting the people that matter in every corner of the globe. Conduct local research on each country and on the companies in the main sectors of the economy. 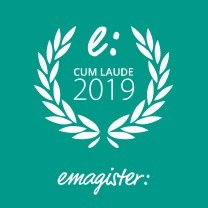 Represent the most prestigious international business magazines and newspapers. Are you an organized professional, extrovert, team player, born negotiator problem solver, dynamic person? Do you have international experience, which may be through your studies or your personal or professional life? Do you have a good knowledge of current affairs and the world economy and read the business and international affairs press? University degree, well versed in economics, geography, finance and current international affairs. Ambitious, details oriented, well educated, eloquent and able to speak confidently on a wide range of cultural topics and current affairs. Adventurous, sales oriented, extrovert, dynamic, self-motivated and creative. Able to work under pressure and meet sales targets. Your personal situation must allow you to travel 11 months of the year for a minimum of 3 to 4 months on each assignment.